Telangana B.Ed Entrance Results 2016 are to be announced on date 12th June, 2016. Candidates can check TS Ed.CET-2016 Results and download rank cards at www.tsedcet.org. Telangana EDCET 2016 question and answer keys download for all Methodologies. TS B.Ed entrance all set wise solved question & answer keys are available to download here for exam conducted on 27th May, 2016. TS Ed.CET A Common Entrance Exam for admission into 2yr B.Ed courses designated as Telangana State Education Common Entrance Test. This is also called as TS B.Ed Entrance Test conducted by the CONVENER, TSEd.CET, Osmania University, Hyderabad in accordance with G.O. Ms. No. 72 (SE Trg-1) Dept. dt. 05-07-2004 on behalf of the Telangana State Council of Higher Education (TSCHE). This exam will be conducted every year by the state government. This will be 2nd time to conduct this B.Ed admission test after the formation of Telangana State. Previously EDCET was conducted in Andhra Pradesh state. Eligible Candidates may submit their applications ONLINE mode only from 14.03.2016. Application registration fee of Rs. 300/- (Rs.150/- for SC/ ST) may be paid at TS Online/AP Online/Mee-Seva/E-Seva Centres in Telangana State or A.P/ through Payment Gateway (Credit card/Debit card). The detailed information regarding the eligibility, syllabus, model paper, related instructions and procedure for online submission of applications will be available today. Every year Telangana EDCET Common Entrance Examination conducted by Osmania University on behalf of Telangana State Council of Higher Education (TSCHE). The Telangana Education Common Entrance Test is conducted every year mostly in the month of May for entry into B.Ed course. This year also held on 27th May 2016. This Exam is organized for admission into B.Ed Regular Course in the Colleges of Telangana State during the academic year 2016-17. Candidates who want to start their career in teaching field you must have Bachelor of Education degree. So, this exam helps you to enter into the teaching career. Those who applied and appeared in the exam are now waiting for Telangana EDCET cut off marks. Generally cut off marks are decided by the examination authority considering some factors like Number of applicants, the difficulty level of the exam, pass percentile, Previous Year Cutoff marks, and number of seats available, etc. 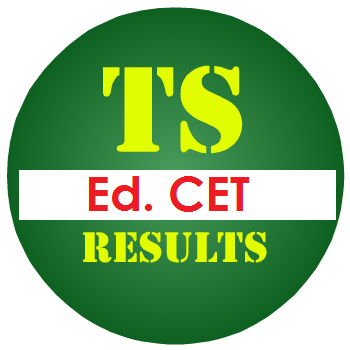 The direct link to download the TS EDCET Results 2016 and cut off, rank card can be found on the official web portal www.tsedcet.org. The Osmania University has successfully organized the EDCET Exam on 27th May 2016. Every year this University conducts the Entrance Exam for admissions into B.Ed programs. Applicants who had appeared for the TS EDCET Exam 2016 can check the Telangana BEd Entrance Test Result from the official website www.tsedcet.org. Participants can get the TS EDCET Results 2016 s from the direct link provided below. The rank list will be prepared on the basis of the entrance examination. You can access results link from here whenever the officials release it. Rank list will be uploaded depending upon the scores of the students in the Telangana EDCET Exam 2016. To get the admission for B.Ed courses one should have to attend for Counselling.